With a name as fantastic as its landlocked but beautiful location, the Grand Duchy of Luxembourg, as is its official title, is a proud European country and should be on your radar if you are at all considering studying abroad on the continent. The country has a long history in the steel business and because of its open political demeanor the economy is flexible, resilient, robust, and ripe to welcome students in for all manner of study. Since Luxembourg is the only Grand Duchy in the world, it is perhaps not altogether surprising that this diminutive country took up arms against Hitler and his entourage during WWII, albeit from afar. 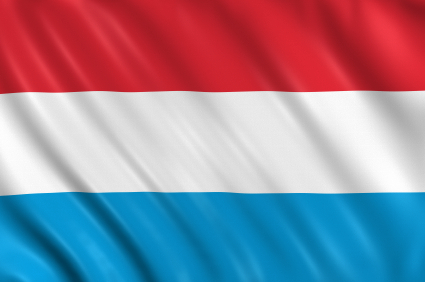 Today, Luxembourg is still considered one of the more politically independent countries in Europe and as such has had a strong positive influence from its place as a member of the European Union in spurring on the modern alliances it enjoys. Students heading off to Luxembourg are often going for in-depth European studies, business, or related research to do with economy, language, history or globalization. Outside of the humdrum of studies, students have easy access to Germany’s nightlife, Belgian beers and French coastlines and food, none of which is half-bad for the study break of a lifetime. Luckily, there is an array of scholarships available to the student wishing to pursue studies in Luxembourg, including those from private and public colleges and private organizations. Start below on your search for funds for your month, semester, or year enjoying the sights of Luxembourg. Miami University in Ohio sponsors a program of study in Luxembourg through the Dolibois European Center which is designed to allow qualified students to gain a European insight into world affairs through finely tuned curricula that introduce participants to the Western European culture and viewpoint. General MU scholarships are widely disbursed to those students whose academic motivation is outstanding as well as those with a combination of financial need and merit. Dolibois European Center Scholarships offer generous funding for program participants who qualify on the basis of both academic excellence and significant financial need. Funding varies from student to student and year to year. Michigan State University runs one of the most active international studies departments anywhere. In fact, many study abroad programs are even open to students from outside institutions, and they have quite a bit of financial aid to offer, as a bonus. Eli Broad College of Business offers study abroad participants financial assistance for programs sponsored by the college, such as the International Business Management program. Applications are reviewed for academic record, program of study abroad, and knowledge of language. Funding varies. Students who are not receiving aid through the Eli Broad Scholarships may apply for the Kellogg Foundation Scholarships which are also funded in part by the Eli Business College. Awards may be $500. MSU Credit Union offers some of MSU’s more wide ranging and generous scholarships, all of which are awarded to applicants based on combinations of academic potential and financial need. Up to $1,000 is possible per award. Forest Akers Scholarships are designed to make sure that disadvantaged students unable to receive other forms of assistance are not ostracized when it comes to experiencing a study abroad program. Applicants must have decent grades and a significant financial disability, but not quite enough to garner them Pell Grants. Up to $500 is up for grabs for this special study abroad program. The Henry J. Leir Luxembourg Program offered through Clark University in Massachusetts provides educational access to Luxembourg for undergraduate, graduate and doctoral candidates who are enrolled in the university. Established in honor of a brilliant Luxembourg businessman, the program is heavily invested in making international and European study a core piece of higher education. Henry J. Leir Student Summer Research Project financially funds a summer internship program. The recipient is carefully selected from a pool of Clark undergrads and is paired with a company in Luxembourg with which to work. Henry J. Leir Ph.D. Research Scholarship goes to an exemplary Ph.D. candidate whose degrees have led to a doctoral candidacy in Economics. The recipient is given the amazing opportunity to conduct research at the Banque Centrale du Luxembourg. The entire European Union cluster is an open book of study to students engaged in pertinent curriculum at Mesa Community College in Arizona. Belgium, France, Germany, Luxembourg, and the Netherlands are all explored academically on the month-long journey while the course covers international business and inter-cultural communications. This “glimpse into the EU” is funded by the Mesa study abroad office of financial aid through both merit-based and need-based scholarships in amounts that do not exceed $1000. The office also can be used a resource for additional external scholarships if you need to beef up your financial aid package for this course. UC Berkeley offers a foray into Europe through its summer abroad program in the Netherlands, Belgium and Luxembourg. This month-long opportunity, titled “History, Identity and Art in the Heart of Europe“, has no requirements and no rigorous linguistic courses as part of its schedule, but does offer an introductory trek through the low countries and simultaneous credit in the Berkeley Dutch department. Students who choose to explore the Amsterdam-Brussels-Luxembourg connection via this route may be eligible to receive funding through the Berkeley financial aid office. There are at least a dozen scholarships available for study abroad through the University, including the Institute for International Studies Undergraduate Merit Scholarships which will put $2000 towards your travels to Europe, especially if you are working on a significant research paper in conjunction with your trip abroad. The most competitive, motivated, and high-achieving students will want to consider Fulbright Belgium: The Commission for Educational Exchange between the United States, Belgium, and Luxembourg. Not only does this federally funded resource provide plenty of useful information on universities in Luxembourg and travel information for students planning on visiting, but students may be able to win funds from the Fulbright Foundation for a clearly-defined research project that is pertinent to cultural exchange, national security, and the fostering of meaningful relationships between countries. While citizens of Luxembourg can win one of 35 scholarships to study in the US at the graduate level, the Bureau of Educational and Cultural Affairs makes it possible for over 1500 American students to receive funding to study abroad. Critical Language Enhancement Awards are a feature perk for students already accepted for a Fulbright, and these allow individuals to fully engage themselves in the local vernacular of a foreign language, at the government’s expense. To apply for a Fulbright Award for research in Luxembourg, put together a detailed outline of your project and its purpose and relevancy, and submit it along with your completed application. Rotary International is one of the most influential organizations in the world as well as one of the premier providers of student scholarships. Rotary is dedicated to making the world a more humanitarian place in which to live and this means making generous funding available to the next generation of leaders and world citizens. Ambassadorial Scholarships are awarded to students pursuing a course of study outside the normal Western European countries. Luxembourg is just one of the many Rotary countries in which Ambassadorial Scholars study. Applicants must be at the top of their class in every way: scholastically, in extracurricular pursuits and in character. Recipients of the award participate in a year abroad and preference is given to those whose studies will center on humanitarian or sustainable development programs. Additionally, the Rotary International is just beginning to offer funding through its top-dollar award Global Grants program. The prizes will be a staggering $30,000 given to those dedicated to pursuing the development of medicine, education or sustainability in a country with dire need. Check with your local Rotary club to see if this program is available through them. You should be able to create a comprehensive financial aid package for your studies in Luxembourg with some of the sources listed above, as well as those available at your own college’s front door. Be sure to take advantage of the resources offered by your school or university through their language studies, legal studies, European studies, study abroad, or financial aid departments. They may have access to scholarships of substantial amount of which you might otherwise be unaware. Student researchers should consider the Fulbright research awards or those at Berkeley that will contribute to their funding in Luxembourg, while those desiring a key venture into current international affairs will want to look into the programs through Miami University of Ohio and Michigan State. The Embassy of the United States – Luxembourg is a resource that will be useful to you in planning your trip and keeping up with news on new academic programs and government awards for students. In your essays for these awards, take care to be specific and thorough in your explanation of your choice of Luxembourg for study abroad. Does your research have any implications for future international relations, business or security? What was it about the country that attracted you – the location, the history, or the political uniqueness? Answer these questions well and they may just win you a scholarship for your hard work.